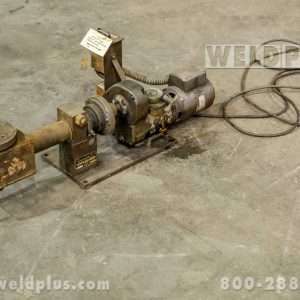 MBC BP2A 200 lb Welding Positioner | Weld Plus Inc. 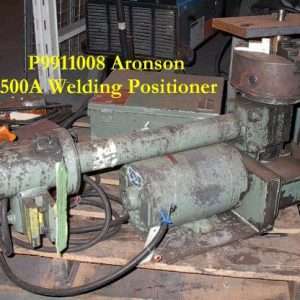 The MBC BP2A 200 lb Welding Positioner is the “workhorse” of the MBC line of positioners. 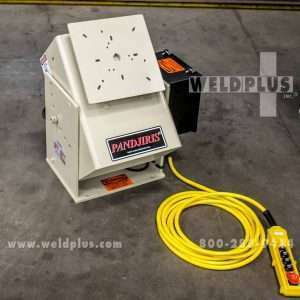 The BP-2 is a sturdy, smooth running positioner that will handle the loads and heavy demands of production MIG and intricate TIG welding. The BP-2 positioner handles up to 200 lbs. of balanced load in the horizontal position. This machine enables the operator to make any angle the correct DOWNHAND angle for fast, smooth welding of small and intricate assemblies. 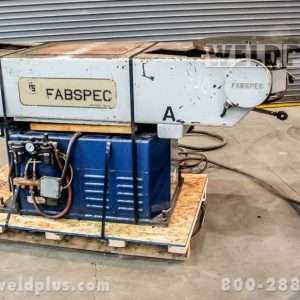 Welders can deposit more metal with fewer passes because weld flows more readily and pools evenly. 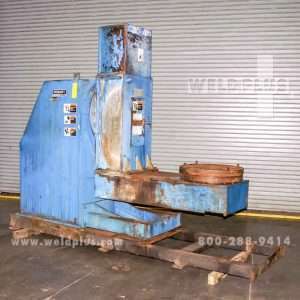 Welds are more uniform, stronger, and require minimum finishing. The BP2A is designed for precise speed control with the lower 0-4.5 RPM variable speed table rotation. The BP-2 features a DC motor with a SCR speed control that is insulated from high frequency interference. The optional foot switch provides convenient “on-off” control of the table rotation. The easy positioning tilt table provides the exact setting for the best welding angle and highest productivity. The M.B.C. positioner is also handy for chipping, grinding, painting, gluing, and other production operations that require controlled circular movement. 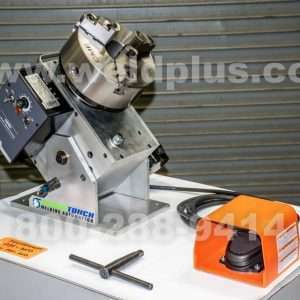 Matched with the SL-309 self centering spin lock welding chuck this unit makes for ease of loading and unloading your tube and pipe. Perfect table top positioner! Feel free to give us a call or send us an email about any of the equipment you find on our website. Even if you don’t find what you’re looking for, we may be able to help. More often than not we find solutions which involve multiple pieces of equipment. Each of these systems greatly improves productivity for our customers. So whether or not you need one machine or several, be assured that we will have the solution that will work together in perfect harmony.